081016 - New Orleans, LA - CWA 2016, Plenary 5. 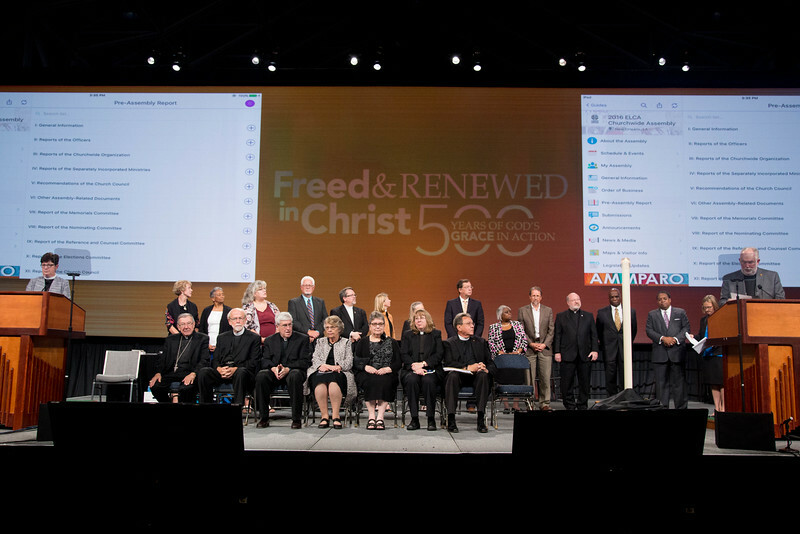 Declaration on the Way task force and ecumenical guests gather on the stage with Bp. Elizabeth Eaton and ELCA Secretary Chris Boerger.